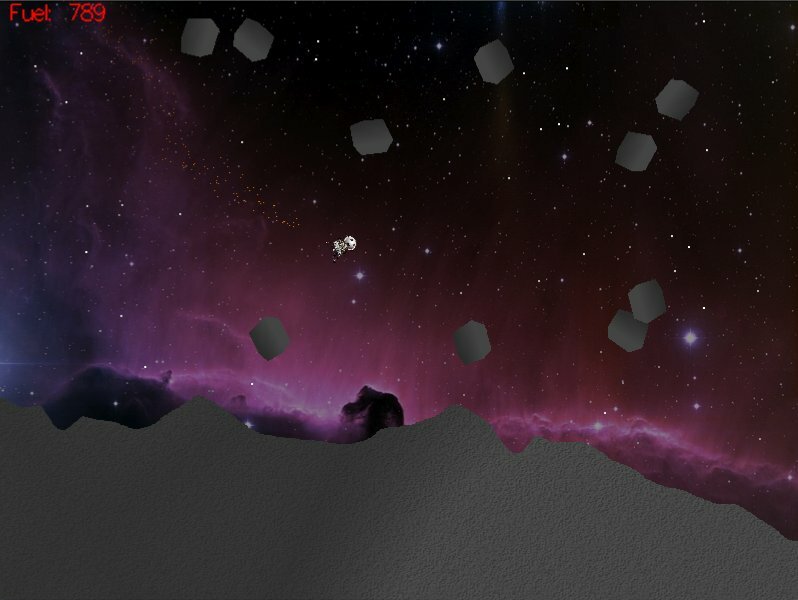 Orion Lander is based off the classic arcade game, Lunar Lander. "Now, the first thing that springs to your mind when looking at these pictures of Lunar Lander probably isn’t "Gran Turismo". And yet, there are not one but two reasons why the Playstation’s flagship racing game could never have happened without Atari’s 1979 attempt at simulating the Apollo moon landings. 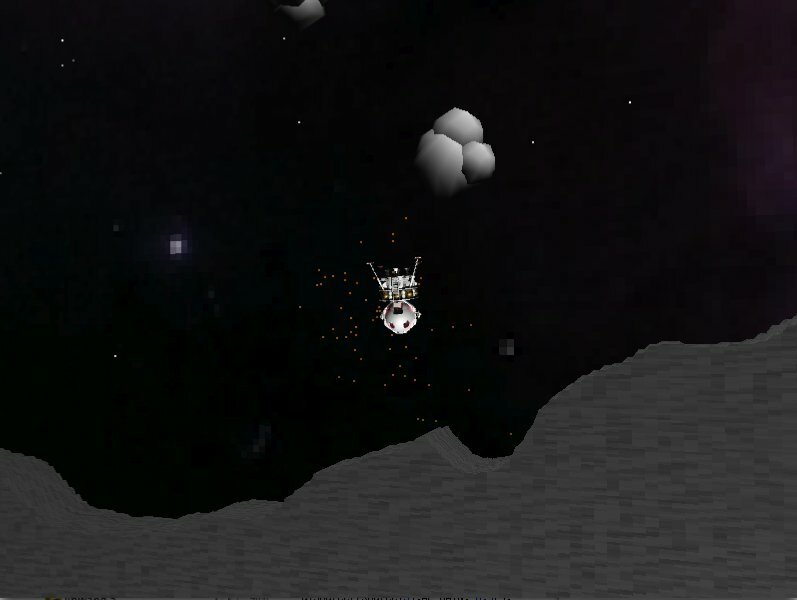 Firstly, Lunar Lander was the first hit game to use the "vector" graphics system, where the computer used maths to actually draw lines on the screen to create the game’s graphics in real time, rather than simply moving around a pre-defined character (called a "sprite"). 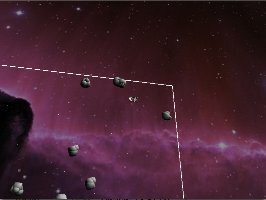 Vector graphics were the groundbreaking predecessor of the polygon-based display system that drives all of today’s sophisticated texture-mapped 3D games, which would be simply impossible to do the old, sprite-based way. 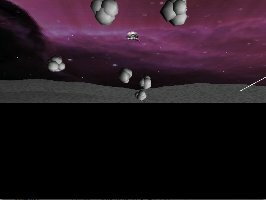 Secondly, Lunar Lander was the first game which tried, in its simplistic way, to be an accurate simulation of something that gamers could never do in real life. 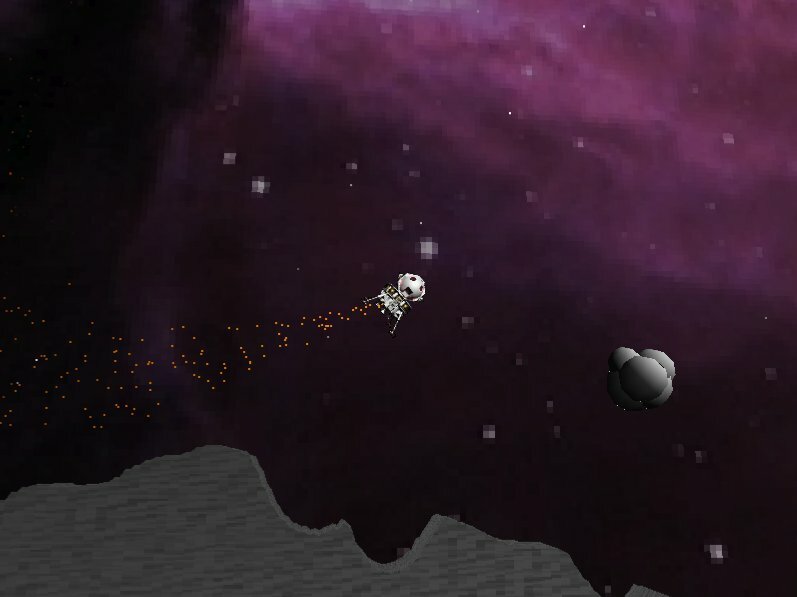 There are no enemies in Lunar Lander, just a limited fuel supply which you have to use carefully and sparingly if you’re not going to smash your fragile lunar module to bits on the moon’s rocky surface, and the tiny, delicate maneuvers you have to perform to touch the module down gently and safely were the polar opposite to the gung-ho lasers-ahoy blasting of every other coin-op game of the time. 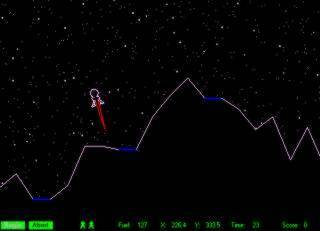 All games which aspire to "realism" over no-nonsense arcade thrills owe a big debt to Lunar Lander. If only they knew, eh?" 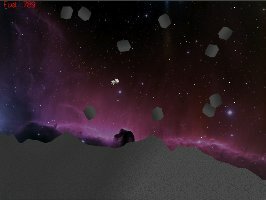 The player’s ship must touch down safely on the planet’s rocky surface. 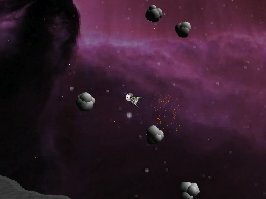 The player’s ship has rotational thrusters, which can orient the ship. 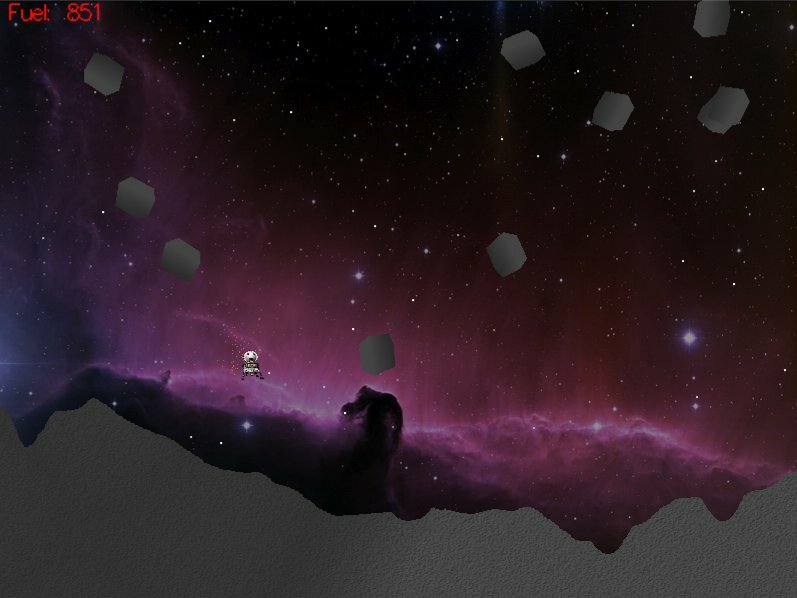 A main landing thruster provides players the ability to adjust their course. 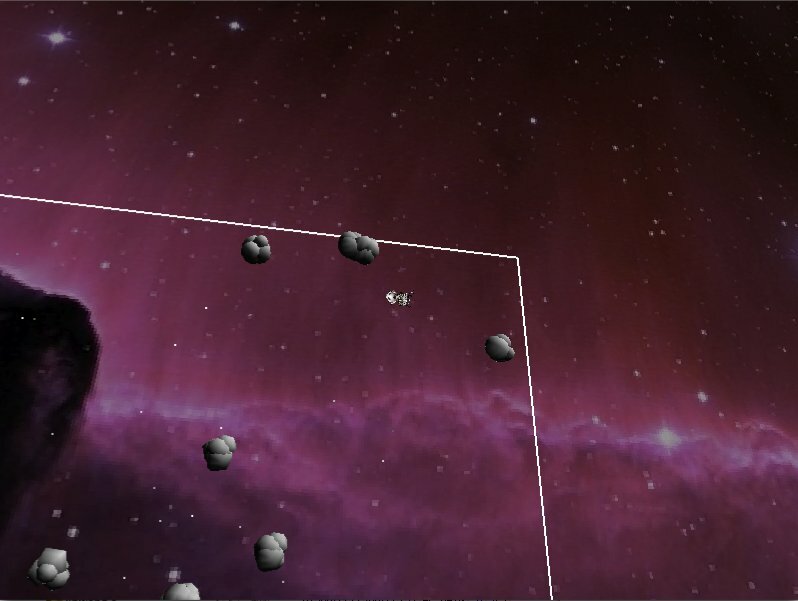 Subtle adjustments to the ship’s trajectory and speed will be necessary to pilot to a suitable landing site. Due to limited fuel, they will not be able to thrust all the way to the pad. 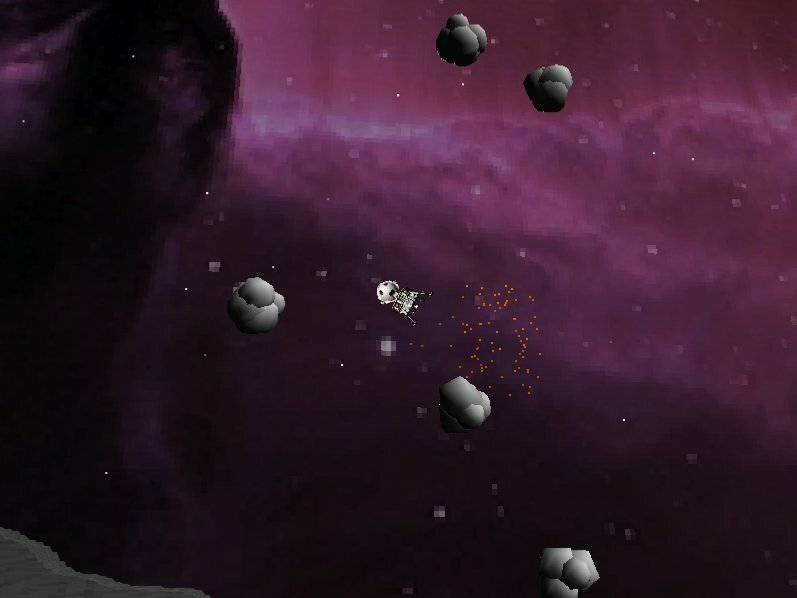 Players will instead have to use the low gravity environment and their momentum to traverse the terrain. To safely touch down on a level area of the planets surface, players must minimize both their horizontal and vertical movement; otherwise the landing module will crash. 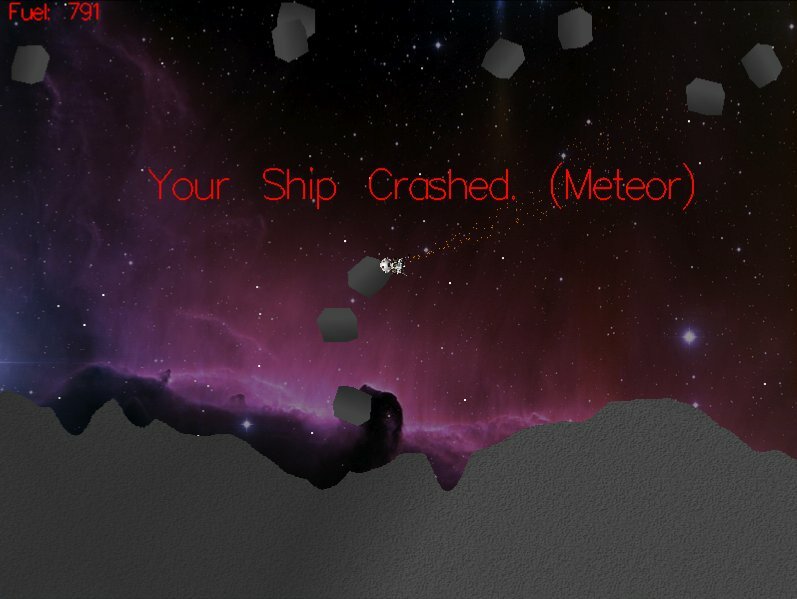 There are also meteors crashing into the planet’s surface (and deforming the terrain). The ship will crash if it comes in contact with a meteor. Other graphical features include a starry background (with varying color intensities and velocities), and a particle fountain (decaying color) from the ship’s main thruster. Includes Sound. Demo of Version 2.0 and the various camera angles.